Not only did Hurricane Isaac bring in loads of various species of shells and BEACH BLING, the storm brought in the most glorious colors of treasures I’ve ever seen. As you can see in the picture above, the shell colors are spectacsheller but it was also so exciting to find a few pieces of SEA GLASS, MILLIPEDE STARFISH, CORAL, WORM ROCK, OPERCULUMS, and BRYOZOAN COLONIES. I was also thrilled to find quite a few CONES but look at the variation in color of these ALPHABET CONES. I love this deep dark brown one in the middle! I found this brownish CONE which I assume is just a really fabulous FLORIDA CONE like the others but I haven’t seen that deep rich color here in SouthWest Florida before. Look how big it is…. I loooove it! I couldn’t believe my eyes when I saw this CHESTNUT TURBAN either! Look at the fantastic pattern and colors of the one on the left! The FLORIDA FIGHTING CONCHS were everywhere so it was almost overwhelming. I normally don’t collect them any more but I couldn’t help but pick up a variety of the colors after Clark found the ALBINO FIGHTING CONCH. There were so many different colors than this (and in better shape) but these are the ones that made it home with me… White, tan, orange, brown and black. On my August 30 post, I showed you a darling blue bucket with all kinds of great shells pile to the top and the lucky gal Amy who found them. Well Amy also found this incredible brown OLIVE shell that I am assuming is an unbelievable LETTERED OLIVE (9-13-12 UPDATE: I assumed incorrectly! It’s a FULGURATOR OLIVE! ). I know, I know, it doesn’t look like a LETTERED OLIVE (because it’s not… please see my post Brown Olive Shell Mystery Solved!) but just like the other shells I’ve shown, the coloring can vary tremendously. The last few weeks on the beach have been so amazing. Mother Nature has yet again colored my world. Thank you Thank you!! I miss Sanibel so…. What great finds!!! I love the beautiful sea glass you found, also!! WOW…what a haul, Pam. I can’t believe the variety, it’s amazing…and those ANGEL WINGS look huge! The one holding the Cones particularly. I have a question about the Horse Conch, the little candy corn. It seems that either you seem to find them smallish, tiny almost or the really big, huge ones like in your last post. Are there sizes in between that you’ve seen or found? Just wondered ’cause doesn’t seem I’ve seen any other sizes since I’ve followed your blog. Love ya, girlie, girl!!!! Keep the pics comin’, please! Fantastic finds! I’m curious, do you need to go out into the surf to find beauty’s like these, or were they found on the beach? What am I doing wrong, I’d be thrilled to find one tenth of your booty after a storm. :) And that olive is to die for. My personal fav since they require no work to clean up, and don’t have squatters. 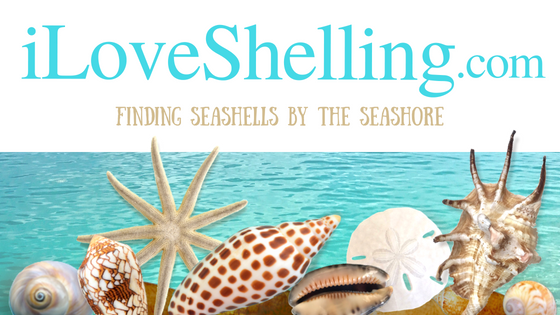 One other question – how many hours a day do you average do you devote to shelling? Maybe that’s the answer. P.S. Love the photo of the colorful clouds with the shell mound! Yummy! Amazing finds. So beautiful. I love the cones. I think I have enough fighting conchs to last me a while. Oh Dear God, you are killing me. One year, we were at Navarre Beach in Florida for our annual girlfriends vacation; and I stood neck-deep out in the water for several hours to collect shells. The water was so crystal clear that i could look down & see the shells at the bottom & scoop them up. It was great fun!! I’ve also had great luck grabbing shells as the surf rolled them up on the beach. That top picture is just an awesome collection of beautiful shells!! That olive is STUNNING!! What an amazing variety in that first pic, too!! Wow! Me too, it’s like rubbing sand into the wound. I think I need shelling glasses! Hey, save some for me, I’ll be there in October. Beautiful olive. So beautiful!! Wish I was there. So beautiful!! I am always hesitant to take Starfish. Some I thought were dead because of the rough surf, we’re very much alive. A gentlemen pointed out their feet were moving on the bottom. So we gently placed them back in the ocean. But some were definitely goners :-(. My question Pam, since I’ve never brought one home, how do you clean a starfish if it shows no sign of life? Oh. My. Goodness. SO SO SO beautiful. I miss Sanibel ! Pam, that first picture is an amazing collection! Is that a junonia fragment with a Scotch Bonnet on the pink coral? What is the black item beside the fig at the top? My cyber shelling curiousity can not be contained! Abshellutely GORGEOUS! That first picture is so amazing you could make prints of it. Wonderful finds :) Love the coral! Wow, wow, and more wow! Such beauty, and the sky is as colorful as the shells! Thanks Pam! And the dark thing is a really big operculum from a big old horsie I think. WOW, WOW, WOW!!!! My mouth is watering! Christine, Isn’t it funny that we dont find as many in-between horsies. We do have some of the tweenies but we find WAY more little candies… I guess they are just like most animal species, most of the babies have a hard time making it to adulthood. Maybe when they make it to tween age, they are healthy enough to know how to survive to “old” age. Sanibelle, I can’t even count the hours I’ve spent on the beach the last couple of weeks because of Isaac… and I’m not sure I would want to ;). I havent even put my yard stuff and house back together since I had to prepare for the storm. When the shells are rolling in, everything else goes on standby. I didnt even get to wash any of these shells before I photographed them. I just dunked them while they were still in my mesh shell bag. Lisa, I normally dont take starfish because the ones I find after a storm are still alive even though they are on the beach in the wrack line. Lots of times the high tide will wash them back in gulf. This one was different. It was so high on the beach and no mistaking that it was dead. It was completely dried… no question and It doesnt even have that weird nasty smell. It still has sand on it and I havent even tried to get it off and I dont think I will try. I just loved that all of his arms were in tact and it is so perfect so I dont have to do anything to it. I havent had luck cleaning them so I am very selective if I bring one home… it has to be no maintenance. Sorry I cant help but I dont suggest anybody take a starfish if it has any moisture whatever to it at all. LindafSWM, Susan is right!.. but the “pink coral” is actually worm rock. Thanks y’all for all the feedback!!!! Pam, your pictures show another series of beautiful shells. Glad the shell collecting on Sanibel Island has been so good lately. As for the large “brown” Florida cone, Conus anabathrum, that is a color form that is more commonly found around Marco Island. It is a beautiful shell. The Florida cone shells from Sanibel generally have a different color pattern than those from the Marco Island area, just 30-40 miles further south. The Florida cone shells from the Florida Keys are even more different in their coloration. This all relates to the development (biology) of these interesting mollusks and the time length of the free floating (aka veliger) stage of their larva. Love the sunset picture “over” the bed of shells. Love your squatters comment. Mixed emotions when finding a beautiful shell and finding a squatter ;-). I don’t get to Sanibel very often but have tried various methods and will say this, it’s not easy finding those beautiful shells. I rarely find them just laying on the beach. I dig sometimes for them. I stand in the surf and feel with my feet which I’m thinking is maybe what Donnie is doing finding the Horse Conchs. However, someone said after hurricane Charley blew threw, you could have your pick of anything, it was all on the beach BUT Sanibel was closed at that time, only open to the residents. We hit Blind Pass two weeks ago and it was just the luck of the draw. So many shells!! The surf was rough and the shells were painful because they were hitting our ankles. Everyone was bloodied up but we were happy. Think the best thing is to stick with Pam’s site because the information is so important. Pam will tell us where the shells are :-). Agree with Pam! Total belly laugh on that one. I recently found your site while trying to identify shells found on a recent trip to Indian Rocks Beach. Can’t wait to see your blog every day. Am talking my husband into taking a trip to Sanibel Island, maybe next year. I hope I have some luck finding some new shells to add to my collection. It really is addictive once you get started, they are so beautiful. Your site has been very informative in helping me identify my finds. I have lots of fighting conches, slipper shells, jingle shells, lots of cockle and olive shells, oh and several nutmegs. Aha! Thanks MK for confirming it IS a Florida Cone. I could have gone on and on about the different colors of shells we’ve found in the last few weeks but these were the most extremes. So let me ask you this too… Do you think that brown olive is a Lettered Olive? I know you can’t see the whole shell to probably make a positive ID but what’s your gut feeling? Great pictures Pam! I too was just amazed at the color variations in the shells we were finding. I got so addicted to picking up the juvenile fighting conchs because the colors and patterns were just amazing. Four weeks and I will be in Florida. Save some for me. Sorry to cut in, but as soon as I saw that olive, it reminded me of the photos of the beautiful brown-banded olives that were posted on the Iloveshelling Facebook page by Katie Gteam in October 2011. The photos are still in your FB album, Pam. She found them in Boca Raton, and there was discussion about how they are found after beach replenishment/dredging. Then Steve made a similar comment above, about finding this type olive after beach replenishment. Interesting! Your pictures are beautiful!!! Especially the shells and sunset. Thank you for your delightful blog. It helps me to enjoy Sanibel even when I’m far away. P.S. I love your shell arrangement in the first picture. Bravo! Pam: I’ve been collecting sea glass forever – when I get back to cabin in Puerto Penasco in October I’ll send you some pictures of what I have made – A 3′ fish and a 2′ round turtle. and still collecting. going to do a seahorse next. How I love your site – it really brings me pleasure every day. And when we have a bad day I go back to calendar and read and look again. PS Humidity is still over 80% on PR!! Hey in another subject, do you remember someone talking recently about the other half of a zig zag scallop being found? Thanks Pam, the starfish question and answer should be incorporated into your section about live shells…it is a great question and after reading this I will now follow your directions about how to collect starfish! and confess that i did take one last year that may have been saveable, oops. At least now I know. Pam, the brown olive shell is most interesting. Here are some thoughts, but not a definitive opinion, since (as you have already said) it would be much better to see the brown olive up close and personal, rather than just in two images. As you know, the Bailey-Matthews Shell Museum pictorial listing of southwest Florida seashells only has one olive, the Lettered Olive (aka Oliva sayana), http://shellmuseum.org/shells/shelldetails.cfm?id=102 . Although there are color variations (sometimes called “forms”) of most olives, the brown color form of the lettered olive, especially around Sanibel Island, is most unusual. I certainly have never seen one from Sanibel Island, but that does not mean that it is not possible. Here are some examples of the different color forms of the Lettered Olive, http://www.gastropods.com/2/Shell_182.shtml and http://www.gastropods.com/8/Shell_1208.shtml and http://www.jaxshells.org/0408uu1x.htm . About a year ago Marlo Krisberg produced an excellent photo essay on the Lettered Olive, http://z14.invisionfree.com/Conchologist_Forum/index.php?showtopic=156 This is an incredible tour de force concerning the shell of this mollusk species and is well worth the time to view it. Marlo takes great pictures and provides clear explanations concerning the various aspects of shell morphology. These links are intended to provide information that others can use to decide for themselves about the brown olive shell. With the above as a preface, I will comment more on the individual, pictured brown olive shell. If this olive truly lived around Sanibel Island and is not an import (see “This shell is not supposed to be here”, http://shellmuseum.org/docs/articles/350/Shellnews_80.pdf ), then the overwhelming probability is that it is a color variation of the Lettered Olive. However, the shell’s brown color is so unusual that it begs the question, “what other olive shell could it be?” What about the other aspects of the shell’s morphology? From the two pictures that you have provided, it seems that the spire is lower than almost all the other Lettered Olives that I have ever seen in person and pictured. In addition, the shell seems to be a little wider compared to its length, than most Lettered Olives. The other, finer details of the pictured shell are difficult to see, such as the shape of the suture (where the newly formed body whorl attaches to the previous body whorl, just below the spiral), the fasciole and the plications band. Note: For those of us who just like to collect the seashells, the previous few sentences may seem to be more complicated than we want, but these are some of the many morphologic features used to differentiate between similar species in the Olive (Olividae) family. So, if this shell is not an unusual form of the Lettered Olive, what other Olive shell species could it be? There are several other Caribbean olives that are all unlikely. I will mention them for the sake of completeness. These are the Netted Olive (aka Oliva reticularis), http://www.gastropods.com/3/Shell_1203.shtml and the Caribbean Olive (aka Oliva scripta), http://www.gastropods.com/5/Shell_1185.shtml and the Lightning Olive (aka Oliva fulgurator), http://www.gastropods.com/1/Shell_3401.shtml . There are a few others, but these seem to be “the most likely of the unlikely ones”. If Amy is still on Sanibel Island, I recommend that she take her brown olive shell to the Sanibel shell museum. Wednesday at noon is usually a good time, since at that time there are a number of volunteers at the museum, and Dr. Leal would most probably be available and would enjoy seeing it. Hope this information is helpful without being too pedantic. Great memory, Bird! I just went back to look at that photo and yes… looks just like those. Skip said he found one on Captiva too and thought it was a netted olive. MK, I wish I could get in touch with Amy but I have no way to do so and she hasn’t commented yet on the blog- darn. Whoa… The link to Marlo Krisberg’s detailed info is fantastic along with everything else! I have 2 other people who have said they found a brown olive like this on Captiva (not during dredging) so I’m going to try to get one of those shells over to have Dr Leal look at them. Maybe if its a Lettered then maybe we can name this color form the rare cocoa. ;) Thanks for your quick reply! Lovely. Drooling. Save some for the rest of us !! SS Jerri Leann, I’ll order up some good shelling weather for y’all. And Thank you so much for your kind words! That’s so sweet…hmmm…. Hey, If you think about it while you are here, put in a good word for me at the hotel where you are staying. The other half of the ziczac scallop is usually pale, like a yellowish tan in color, or even paler than that, and it is very deeply cupped. If you put Euvola ziczac into Google and look at Google images you will see some examples of both valves. I am sure they wash up on Sanibel as often as the flat half, but I expect they usually get overlooked, as they are not very beautiful. GREAT JOB — PAM !!!!! Lots of great finds – am sure there will still be more to come. I posted a picture on your Facebook page of some nice Gaudy Asaphis clams and a Flame Helmet that I have found in post-Isaac shelling at Guantanamo Bay, Cuba. Pam, thanks for my new screensaver pic. An expert would need to really examine the shell carefully, but because of the low spire and more rounded shape I would lean towards thinking that this might be the netted olive, Oliva reticularis, even though that species has not yet been recorded from west Florida. It is present in east Florida. Pam, as yet you did not find one of these brown-banded olives yourself? I remember seeing a photo of one or two of them on your blog maybe two years ago? Really it would be good to have Jose Leal take a look at the shells. He is the person who keeps official tally of what lives in the area. Susan H thanks for your comments. It would be very special to identify a new olive from Southwest Florida. With the extensive shell collecting that has occurred around Sanibel Island, it would be unlikely that the BMSM would not have some of these brown olives in its collection. Perhaps they have just not been properly curated. I will be on Sanibel Island in November and will plan to look at the BMSM collection of local olives. Jeanne, what a pleasure to see your post. Alice and I have wondered how you guys are doing and have been hoping to meet up with you sometime on Sanibel Island. I would be happy to look at the olives and will probably take them to Sanibel to show to Jose Leal. I would like to catch up with you & Chuck, but this is not the appropriate forum. If you would like, Pam can send me your email address or the reverse would also be fine with me. Hope to hear from you soon. I know Pam commented below and I too have found a few ‘tweens. I have one about 3-1/2″ long and one around 5″. But I thionk she’s right, It’s either babies or full grown adults that seem to be found. What great cones! And I saw a large flat. But, oh my, check out the scotch bonnet. Jose Leal’s list of SW Florida shells is not nearly complete yet. And the BMSM collection of local shells is not nearly as comprehensive as you might imagine it to be. Shellers do sometimes find interesting and locally rare shells such as these brown-banded olives, but they usually put the shells away somewhere in their house without a label with the collecting data (i.e. who, when, and where, collected) and as you know, that means the shells can end up being scientifically useless. Shellers also don’t usually donate shells to the museum, or even show rare things to Jose. Of course Jose can’t look at every “interesting” thing that every sheller on Sanibel finds, or he would have no time to do anything else at all. But there are plenty of “new” things to be found. On my very first visit to Sanibel last December (also my first Florida collecting and first Gulf collecting), during my sole visit to Lighthouse, which was not even during a low tide, I found four species that were not on the BMSM list. They were all small species. I sent them to Jose, he agreed they are indeed likely to live there, and they will be added to his SWFL list. If I can dig one out of my boxes, when I come down in December, assuming I remember (!) I will try to bring a cupped valve of the ziczac scallop with me (from Nevis) so you can handle it and see what it looks like and feels like, so you can learn to recognize them in the Sanibel drift. When I said that those brown-banded olives might be Oliva reticularis, I should have also given the common name, “netted olive”. I have only found one brown-banded Oliva reticularis on Nevis. I contacted Jose yesterday and we will meet this week so I can show him my (ahem… Clark’s) scallop and 2 of the brown olives that have been found here recently. He thinks the brown ones are the Oliva fulgurator. Cool, huh? I will def do a post about both of them so we all can find out what he thinks they are for sure. I love to see “new” shells!!! Great! Terrific! Why don’t you also take that one valve you have of the great tellin, the one you found at Lighthouse a year or two ago after a big storm? That species is not on the SWFL list. Oh by the way, here is a super page of pics on Oliva fulgurator. If this page is correct, then O. reticularis is just a form of O. fulgurator. I just “talked” (via email) to my totally brilliant shelling friend Harry G. Lee, of the Jacksonville Shell Club. So, Harry is saying that in his part of Florida, the lettered olive lives in the shallow water, and the “lightning olive” (aka “the netted olive”), lives as deep and deeper than about 60 feet. And that Sanibel might have the same deal.